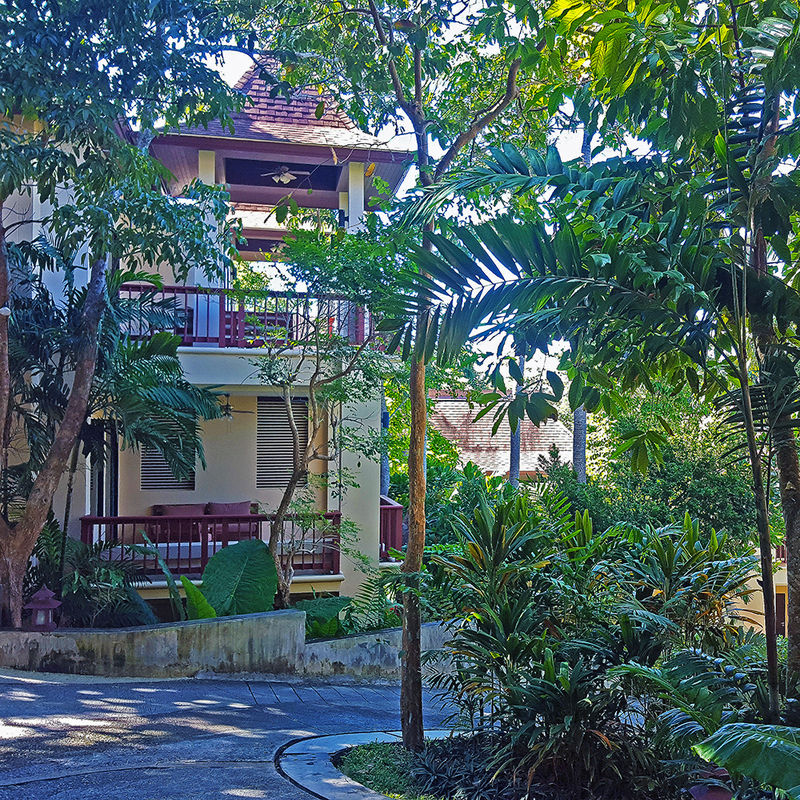 Koh Lanta was our last stop in the amazing South of Thailand – and Crown Lanta was the perfect island life escape for relaxation. After two amazing stays in the Ao Nang region (Ao Nang Cliff Beach Resort and Alisea Pool Villas), we headed for Koh Lanta. We were grateful to be able to be transferred from Ao Nang to Crown Lanta by mini van (we were even given refreshments in the van and that is so needed in the Thailand heat). 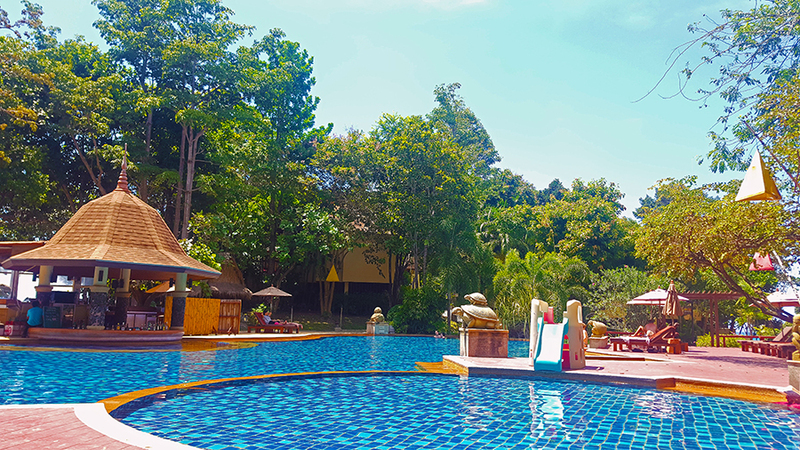 After around a 2-hour drive, we arrived on the Crown Lanta Resort & Spa grounds; an immense luxurious resort, spanning over hills, with private beaches and rich in vegetation. After being welcomed at the reception, we were briefly introduced to the amenities of the resort, and then driven to our room in a golf cart (so convenient!). We realised later how amazing that was – the hilly paths of the resort were really tiring on foot (especially for somebody as weak as me). As soon as we entered the room, we fell in love with the picturesque design, featuring lots of wood as decoration and neutral shades. 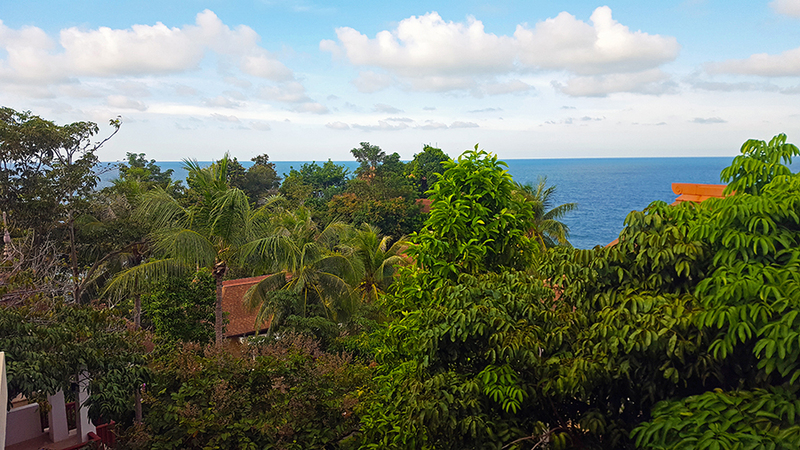 We also had our own balcony, overlooking the sea and sheltered by lots of vegetation. It was a truly peaceful view and amazing for having your morning coffee in silence. 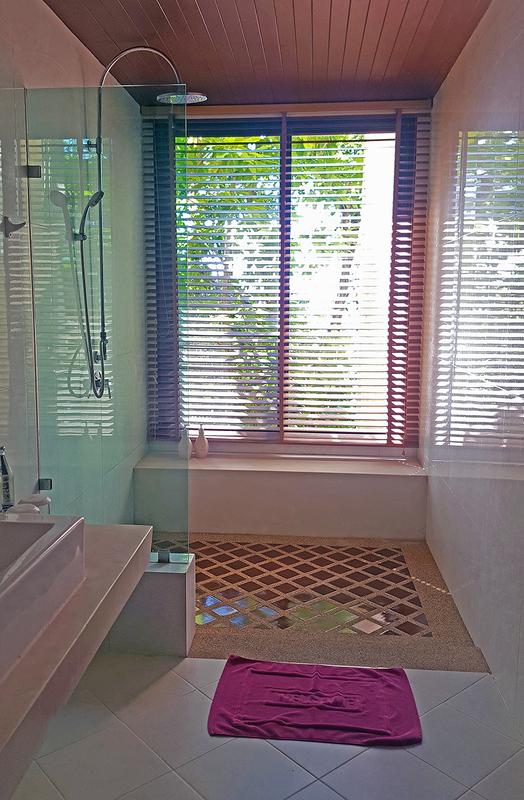 The bathroom was spacious and the Italian shower had a similar view as the room, that you could peak at through the blinds. The bathroom and the bedroom were connected to a small closet space, equipped with a mirror and a wardrobe – perfect for the morning skincare routine! 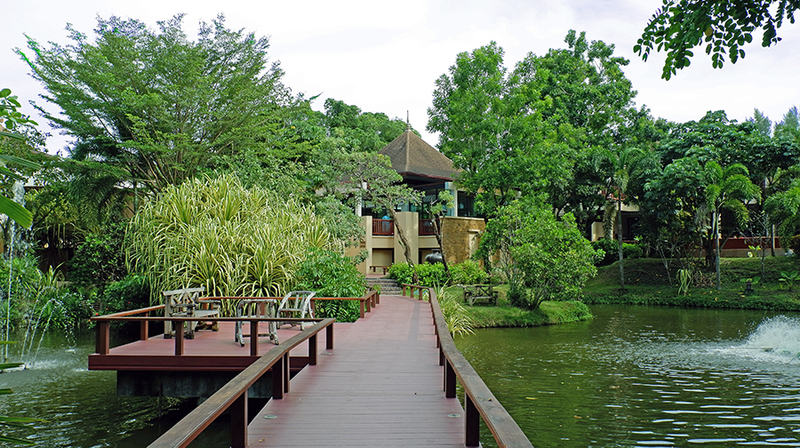 As I mentioned before, the Crown Lanta Resort was rather hilly, but also extremely charming. I am so lucky that our room was close to the pool, the beach and the breakfast area. I even had the chance to try out the spa – an essential oil massage that allowed me to relax and have super soft skin. The massage was of course followed by a hot ginger tea. The pool was one of our favorite places to hang out – lying in the sun, drinking coconut water, enjoying the cold pool water – that’s what holidays are about! The Crown Reggae bar is one of the restaurants at the Crown Lanta resort. We tried it on the first evening there, I was very curious about its location and saw amazing pictures from there. Upon arriving, we were taken to out own private area with a “table” with two mattresses on each side and comfy pillows. We had a dim light above us, and all we could hear was the waves of the sea and the relaxing reggae music. The cocktails and the food were delicious and the quantities were insane. We ordered one dish each and 3 side dishes and even if we were both starving, we could barely eat half. 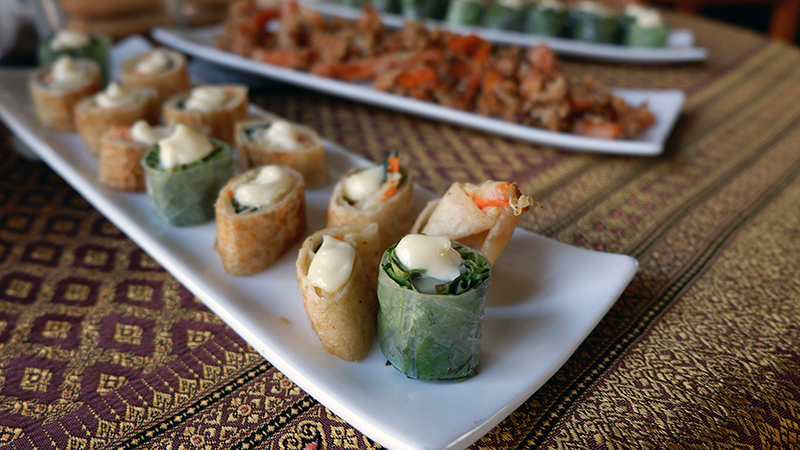 Every afternoon, the café would have a tea time – with the purchase of a tea or a coffee, you would have snack on delicious finger food and enjoy the relaxing atmosphere! We went every day there for the breakfast. I was way too excited about the waffle station and the egg station. The breakfast choices exceeded my expectations. 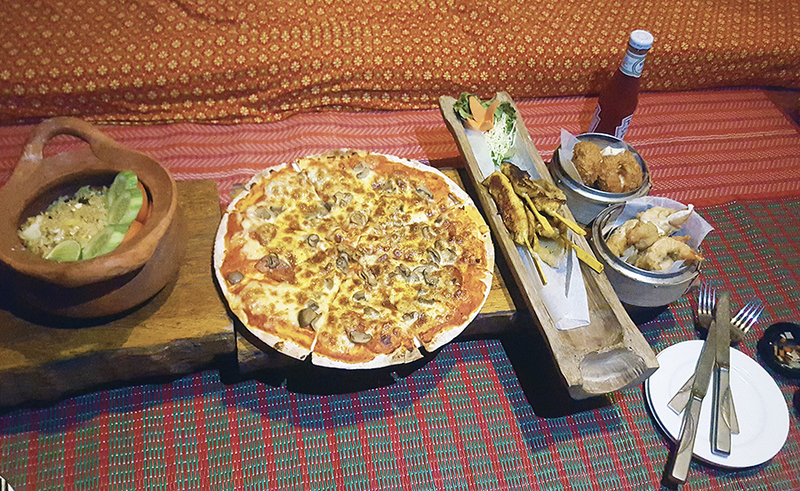 There were the usual Western and Thai choices, but much more variety and quantity. My favorites were the fresh fruits (I must have eaten kilos of dragon fruit and pineapple), the pineapple pancakes and waffles, and the fresh watermelon juice! And can we just admire the view from The Peak?? 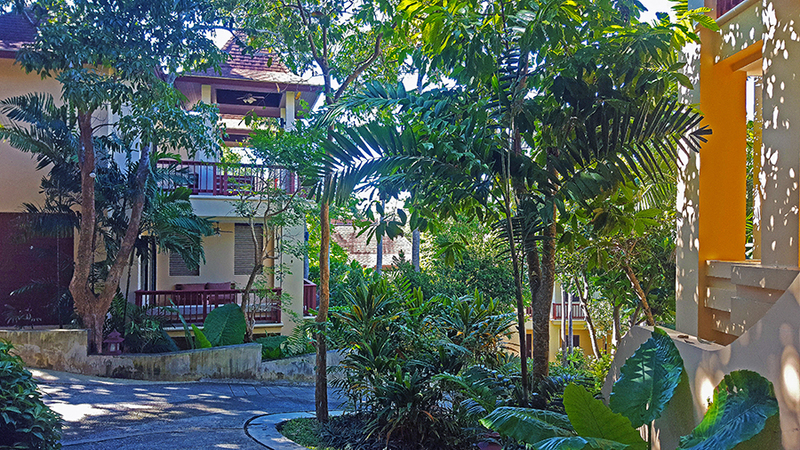 What more would you want then sea views and tropical vegetation? Just as with the previous hotels, I was very positively impressed by the high quality of the Crown Lanta Resort – not only the amenities, but also its hospitable staff. For any request we had – booking the spa, enquiring about tours, booking airport shuttle – we were always greeted with a smile and helped. I loved our time in Koh Lanta and I will definitely come back to enjoy and explore the island even more! PLEASE NOTE: I received a free stay at Crown Lanta Resort & Spa, but rest assured that all opinions are honest and my own.